The natural skincare products under the THANN brand using Asian innovation, natural ingredients, and contemporary design. Designed to naturally replenish moisture to the skin that may have been lost due to environmental, climatic or body physical condition changes. The power of scent is the guiding principle behind aromatherapy which is the practice of using natural oils to enhance psychological and physical well-being. 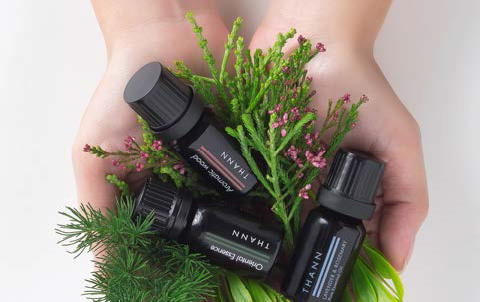 Once inhale, the essential oil stimulates the olfactory organs which are linked to the area of the brain (limbic center) that control emotions and stimulate the endocrine system. As a consequence, useful substances will be released, which has an impact on emotions and feelings. For soft, smooth and frizz-free hair, THANN hair and scalp care range is specially formulated to optimize the hairs and scalps natural moisture balance. The mild natural formulas suitable for all skin type and gentle for sensitive skin. the range provides four complete face care steps; cleanse, tone, moisturize and protect.